Papers automatically renames your files once you import them into the program. In this tutorial, we are going to cover how you can control how your files are named. (Please note that this only applies if your library is stored locally. If you have syncing enabled or your library is stored on a cloud service like Dropbox, please see this KB. 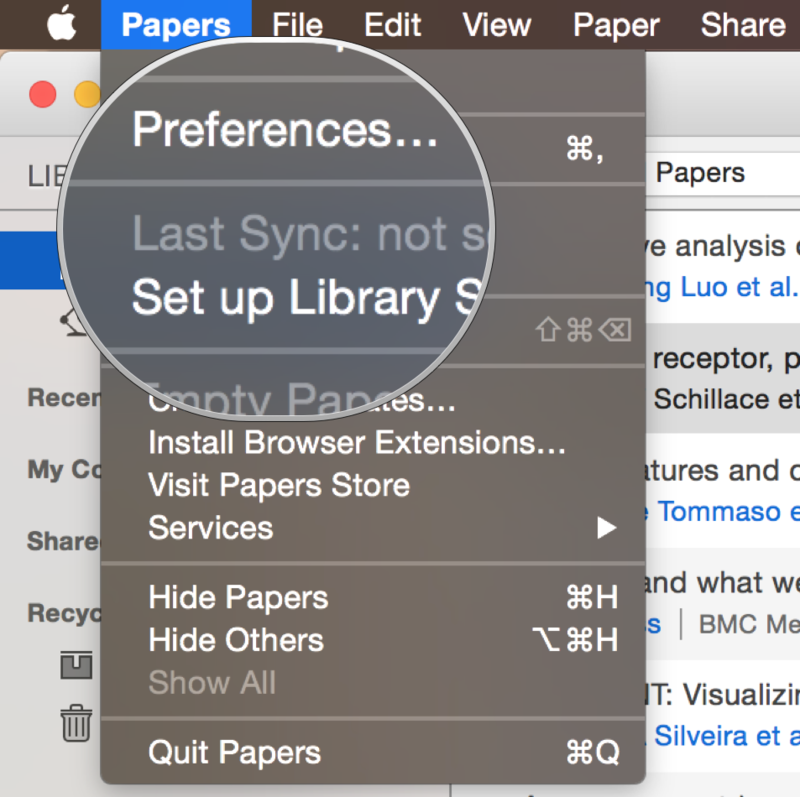 The way your files are named can be changed in Papers - > Preferences. 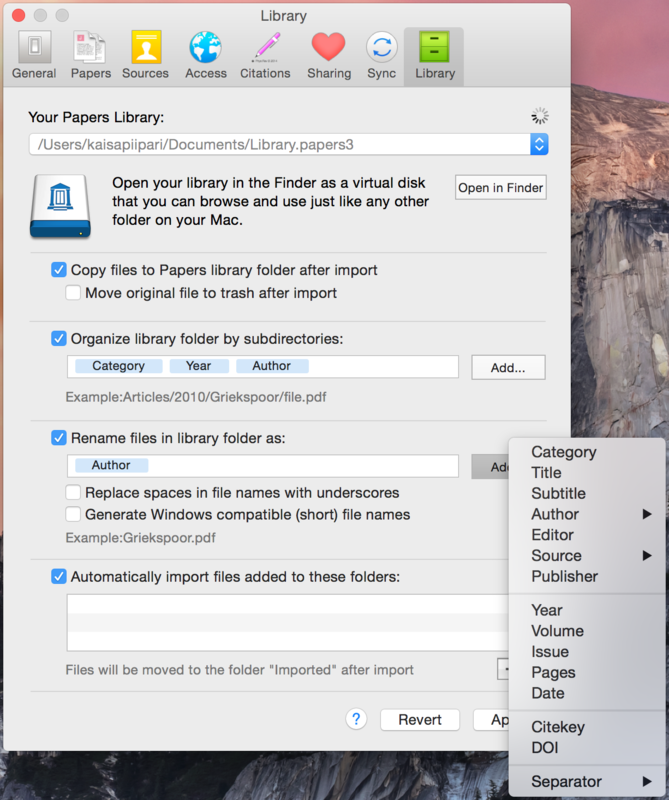 You can completely personalize how you would like Papers to rename your files once they are imported. The way in which you choose your documents to be renamed might strongly depend on not only your personal preferences, but how you are using your library as well. For example, you may want each file name to start with the author's name if you work in research and spend quite a bit of time citing other papers. On the other hand, perhaps starting each file name with a category term or source will help you organize your files if your library is build around different business projects. Preferences shows the way in which your files are being renamed at this point. If you want to change this, you can delete or add any or all of the file name parameters you see in preferences. By selecting one of the parameters currently listed you can delete them with the delete key on your keyboard. After deleting the parameters you do not want, you can also add additional parameters you do want. Click on the "Add" button to pull up a menu of choices. Once you hit "Apply" at the bottom of the screen, your changes will take effect and the names for your documents are changed according to your newly set parameters! If it is important to you that Papers does not rename your files, you can just tell the program not to. Perhaps you are saving files you created yourself with a specific naming style you would like to keep intact. 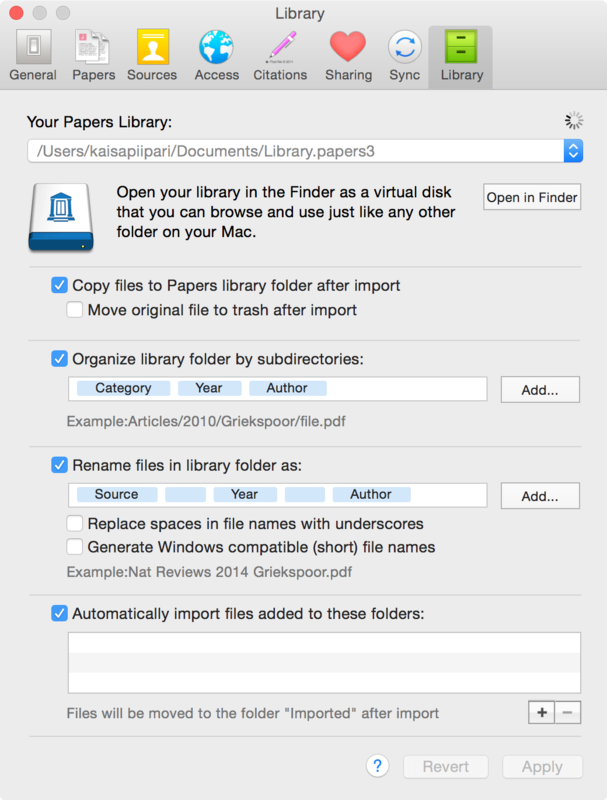 To keep Papers from renaming any files, just uncheck the box next to "Rename files in library folder as".